It looks as if the final nail in actor Jussie Smollet’s narrative has been hammered shut, and a series of apparent lies have come crashing down around the faulty foundation they were built on. The “Empire” actor turned himself in to police this morning in response to felony charges of disorderly conduct and filing a false police report. The question many are left with today is: how in the world can someone be driven to such madness? It’s what can happen when you place something else – like social justice – at the very center of your worldview instead of the God of the universe. Here’s a very quick primer for those who haven’t followed the drama (skip to the header below if you already are up to speed): The saga began last month, when Smollett claimed to have been attacked by masked assailants who were shouting “this is MAGA country” and wielding a rope to fashion a noose out of. It was later learned that Smollett birthed the idea after becoming incensed that a creepy racist hate letter sent to him at the studio did not receive much attention. It was later discovered that Smollett also orchestrated and wrote that letter, too. When trying to understand someone’s behavior, we must consider a person’s core values and beliefs as the main drivers of day-to-day decision making. 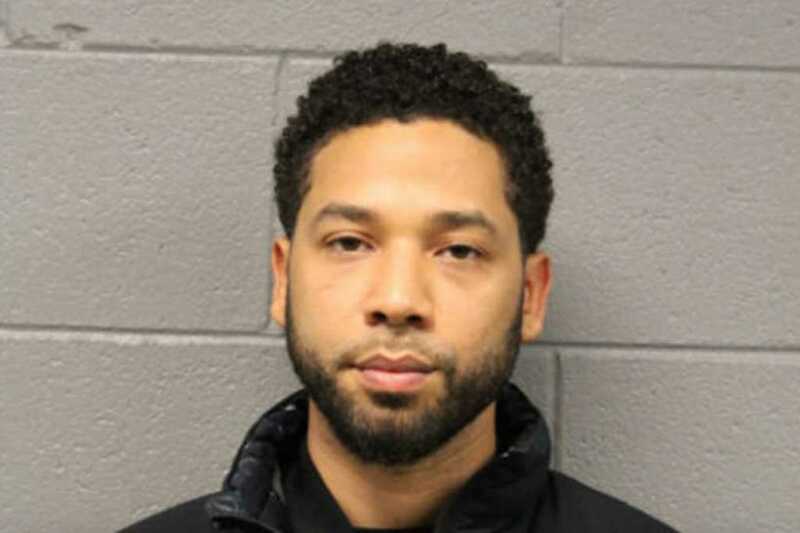 Smollett didn’t just wake up one fine Sunday morning and decide he thought it’d be fun to commit several felonies, divide the nation with fake news, end his career, and possibly end up in jail. No, he was one of the growing numbers of people who view the world through the lens of progressive social justice, and his adherence to this worldview ultimately is what brought him to this low point. Those promoting social justice from a progressive perspective view people less as individuals and more as groups. Groups of people, broken up into two main categories: the privileged, and the oppressed. For a full explainer on this, watch Dr. Voddie Baucham’s speech on the subject — it’s well worth your time. As a gay black man, Smollett, employing the progressive social justice worldview, fell firmly in the oppressed category. Even though he was an actor on a hit television program with far more fame and fortune and success than most people in America could ever dream of (he was making $65,000 per episode), under this worldview, he still fell in the oppressed column. He either believed so deeply in this oppression that he felt he needed to act drastically, or he is utterly selfish and used those who worship at the altar of social justice in order to advance his own career. Either way, at least at this moment in his life, he decided to place something other than God where only He should be. No one likes injustices. Racism is wrong. Hating gay people — or any people — is wrong. Where the progressive social justice approach runs into disagreement is in how they define justice. What does justice look like? Is it raising enough awareness to injustices that society as a whole begins to combat it more thoroughly? Or is it a material redistribution of power enforced by a governmental authority of some kind? Many on the progressive left believe it’s the latter. This is, in part, why the progressive left reacted with such panic and fear when President Trump was elected. He was a roadblock to the justice they so desperately seek. President Obama, on the other hand, was welcomed with “hope” posters — precisely because their hope was in him to restore proper justice. Death and taxes are among the only guarantees in life, as the old cliché goes. Here’s another guarantee we can add to that list with confidence: hope placed anywhere else besides the Gospel of Jesus Christ will ultimately fail you. Hope in your spouse. Hope in your neighbor. Hope in government. Hope in science. Hope in success. Hope in money. Hope in social justice. Hope in a president. Hope in capitalism. Hope in socialism. Our hope is not something we should entrust to human hands. Humans are imperfect. We are sinful. We will screw it up — even if it looks good on the surface, and even if a lot of good comes from it, eventually it will crumble. Jussie Smollett embraced the progressive social justice movement. By all appearances, that’s where he decided to place his hope. At a minimum, he duped those who do the same. With President Trump in office, hope for the SJW’s was crushed. And when our hope is crushed, we imperfect humans can do some pretty remarkably desperate and stupid things. For Smollett, his crushed hope manifested itself in trying to provoke a backlash against the one he believed was blocking justice. Or, he took advantage of those who felt similarly and used it for his own personal gain. When we place our hope in something other than Christ, we create a worship problem. With our actions, we declare that x is more worthy of my attention than Jesus. For Smollett, achieving social justice (or increasing his status) became the most important thing in his life. That became his golden calf. And when we worship something other than the one true God, we essentially make ourselves god — and that’s when we open the door for all kinds of crazy possibilities. Humans make for terrible gods. We all play god in our lives to varying degrees sometimes, myself included. The difference for the Christian is, when we recognize that we’ve misplaced our hope, we repent and ask Jesus for help. Those who don’t believe have nowhere to go. They become their own last resort. Combine this misplaced hope with not using God’s standard to live by, and the unbeliever can rationalize and justify all kinds of wacky things. That’s the problem with moral relativism — you can justify anything because there is no guidepost. “And you know what? I would never vote for an atheist president. Ever… Because I do not think that someone who represents 5 to 10 percent of the population should be representing and thinking that everyone else in the world is crazy, but me. When you don’t have a moral standard to live by, the power shifts to yourself, and our sinful human minds can justify all kinds of immoral things. Most of us — even unbelievers — are able to stop ourselves short of breaking the law because going to jail is a good deterrent. But when you make yourself the god of your life, and you replace God with a false sense of transcendent justice, it’s easy to see how you could justify otherwise unthinkable actions. Pray for Jussie Smollett and others who are so blinded by sin that they are willing to lay everything down at the altar of social justice.